who resigned earlier this year, prior to the appointment of new CEO Nicole Taylor, after less than a year in the role. Pownall has more than 20 years' experience in marketing and advertising, holding roles at Cummins&Partners, DDB, Saatchi & Saatchi, The Campaign Palace and CHE Proximity. She left Publicis Mojo in April after three years at the Melbourne-based business. Pownall says she's excited to join McCann Melbourne during a "formative time" at the agency. "McCann Melbourne has enormous growth potential and continues to be a proven creative powerhouse,” she says. Pownall will be tasked with rebuilding the agency after its leadership shake-up last year, which saw Adrian Mills, Matt Lawson and David Phillips depart for Deloitte. The Melbourne leadership team is now made up of Pownall, ECD Nicole Mandile and head of strategy Roshni Hegerman. 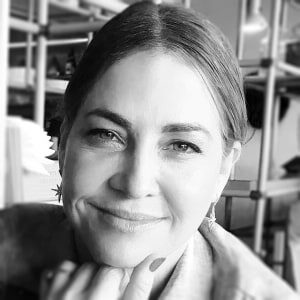 “Georgie is an inspiring leader, whose passion for creativity is infectious and will be instrumental in bringing to life our shared vision for McCann Melbourne," McCann Australia CEO Nicole Taylor says. Taylor, who joined the business this year, has been leading the transformation of McCann across both its Sydney and Melbourne offices in a bid to make the Australian business as revered as its New York counterpart. The former DDB boss outlined her plans to break McCann Australia out of a culture of conservatism in a recent interview with AdNews. On the departure of Deutsch-Burley, Taylor said she made a significant contribution to the Melbourne business and wished her the best in the future. McCann is still searching for a Sydney managing director following the departure of Adam Lee. In this month's edition of the AdNews podcast, the news team discussed McCann's overhaul as well as Paul Brooks departure from Carat and discussed streaming with Stan CEO Mike Sneesby. Listen to it here. 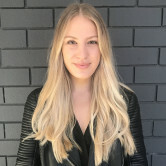 McCann Melbourne has revealed former Publicis Mojo general manager Georgie Pownall as its managing director, AdNews can reveal. She replaces Anita Deutsch-Burley who resigned earlier this year, prior to the appointment of new CEO Nicole Taylor, after less than a year in the role.